The 6% drop in sales in March is intoxicating to the doomers who can’t contain their excitement at seeing Calgary finally meeting the same fate as Toronto and Vancouver. Even this insignificant blip created hysteria among the bubble bloggers, who are conveniently blinded to the realities of accurate data. As for his credibility, Garth also predicted in 2008 “Real estate prices in Calgary, Edmonton, Fort Mac at 50% of 2006 levels. ” That would put our average price at $200,000. Today it’s over $500,000. Most fail to mention that new listings have been down, year-to-year, for 10 consecutive months, or that homes were at record high prices in March. How do you buy a house when there’s nothing coming on the market that appeals to you, or is in your price range? April will be the first month where we see an increase in new listings, Y to Y, since May 2012. More selection will hopefully result in a moderation of the prices, also resulting in increasing sales. To April 6, new listings are up 13% compared to the 3-year average, and up 5% compared to last year. Spring will bring more listings, lower prices, more sales. 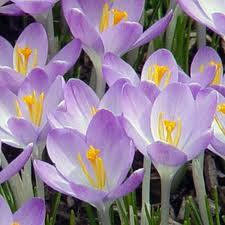 It may not be a bed of roses, but crocuses are beautiful, too. This entry was posted in Calgary SFH, Fearmongers, Greater Fool, Predictions. Bookmark the permalink. Bob, what are the typical drivers for low/high inventory? It’s been almost a year where people are not listing. Seems weird. The Calgary market is holding up because we have the best paid jobs and less expensive RE than the rest of the country. Problem is that our economy can change on a dime, but O&G seems to be humming along so who knows when that will happen. This recent story in the Calgary Herald will help explain it: Statistics Canada figures from the third quarter of 2012 show Alberta experienced the biggest net influx of interprovincial migration and immigration since 2006. 2800 homes for sale in a city of 1.1 million is not healthy. We should have double that number at this time of year. How we got to this point is a matter of speculation, but over the past 10 months Calgary has experienced an influx of people moving here for employment who all require a place to live. Market forces will eventually resolve this situation. Higher prices will prevent buyers from entering the market, listings will stay on the market longer, and inventory will build. More new homes will be built. A downturn in the economy with lay-offs will motivate people to sell and leave this city. In time, the inventory will increase to healthier levels. You see the same effect on the stock market where very low volume (like we have now) drives up prices. Even with millions of shares sitting on the sidelines, the price of the whole can get driven up by a very small number of transactions. When the volume becomes high, that’s when you see what the will of the market is. I wouldn’t read much into current Calgary House prices until the volume of transactions increases. Garth Turner is the worst type of Liberal – a Toronto one. ‘Nuff said.